His recipe has always been based on four things: a good business strategy, good leaders, smart teams and solid execution, says Daniel Nel, Chief Executive Officer and founder of Nebula. 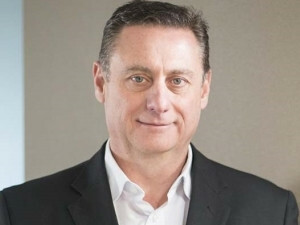 Daniel Nel, Chief Executive Officer and founder of Nebula. What comes to mind when you hear the term "high-performance"? Perhaps you envision a fancy sports car or an elite athlete. Or maybe this term makes you think of the latest, and most advanced, technological innovation. So what do all of these things have in common? Well, for starters they're all associated with power, precision and speed. These items and individuals all have some sort of elite quality, they're agile and they're rare, says Daniel Nel, Chief Executive Officer and founder of Nebula. When I consider what high-performance means in the world of business, I think it's important to point out that this term has nothing to do with size. I don't think it's only the biggest and most well-established businesses that have the potential to be high-performance players. When I started Nebula 20 years ago, clients needed to buy some sort of telecoms solution for their businesses and service providers were trying to sell some sort of telecoms solution to businesses. While this sounds simple enough, the problem was that what the clients wanted and what the service providers were offering never really matched. So I became the translator in between the two parties. I didn't influence clients, I just simplified the process for them. As the years went by, we developed software to automate this process and this was my unique value proposition. So does one create a high-performance business in 2017? Here's are a few things you need to know. My recipe for a high-performance business has always been based on four things - a good business strategy, good leaders, smart teams and solid execution. Developing a good business strategy entails identifying a unique need and fulfilling that need. It's all about coming up with a business model that is repeatable. Once you've done this, you must create a strong vision around your business proposition. If you don't have a clear vision for your idea, how do you expect others buy into it? I believe that everyone has something in them - some unique aptitude or ability. When hiring staff, I always look at talent over experience. People with talent have so much potential and in the right environment they have countless opportunities to grow. The big corporates of the world are more likely to hire a person with loads of experience. But I would argue that it's more important to create future leaders and coach inexperienced young people to use and hone their abilities. What I've learned over the last 20 years is that about 20% of your staff run your company. These are your future leaders. Growing a successful team is all about ensuring that each person in the team knows his or her role. Teams only really get tested when things go wrong and that's when it's most important for teams to work together. Finally, the key to sound execution is achieving a rhythm. Only 13% of companies that put a business strategy together actually execute it. If you stick to a rhythm of repeatable tasks - be it daily, weekly or monthly - there are set expectations for when and how things should be done. When all of these things come together, it's possible to create great value and offer that value to others. To find out how Nebula can help your business reach it's true potential, contact us.